The information explosion has led to a massive increase in opening theory. But how often do you win a game with a prepared line? What gives strong players the edge over their opponents is not some blockbuster novelty, but a deep understanding of the pawn structures to which their openings lead  an understanding that lasts into the middlegame and endgame, and is transferable between different openings with similar structures. 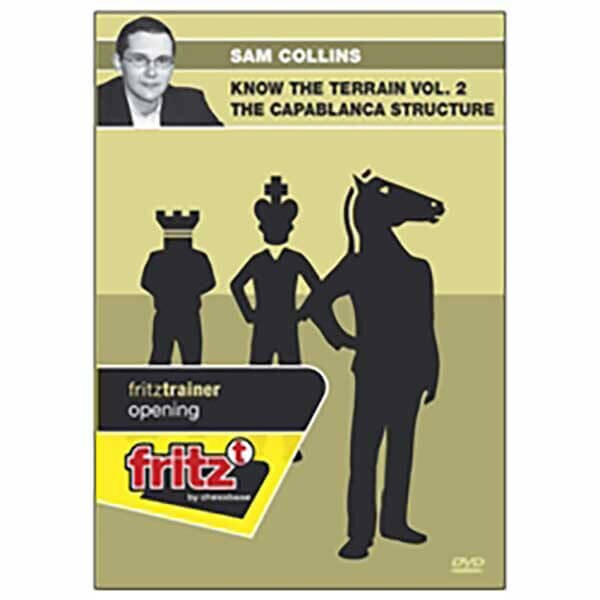 In this DVD, Sam Collins continued his investigation into the most common and important pawn structures in chess by looking at the Capablanca Structure (white pawns on c4 and d4 against black pawns on c6 and e6). White has an undeniable space advantage, but must demonstrate something against Blacks solid structure before the position simplifies. The structure commonly arises from the most important openings including the Queens Gambit Declined, Semi-Slav, Rubinstein French and Caro-Kann, and a good understanding of the typical themes is essential.